What Media Bias?... 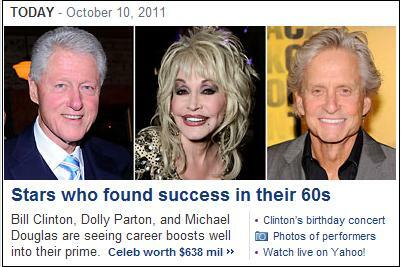 Bill Clinton Included in List of Successful "Stars"
Yahoo included Bill Clinton in list of successful stars. For some reason George W. Bush didn’t make the list.